Chandigarh 13th April'19: World’s largest electoral body is abuzz with activity, but it is not giving out any good signals. No right precedence is being set. The political leaders have gotten into this habit of displaying their arrogance and muscle power. The loss of two lives on the first day of this long polling season is scary in terms of what would be the cost our country would have to pay for this election. The uncertainty of the result is an addition to the worry. 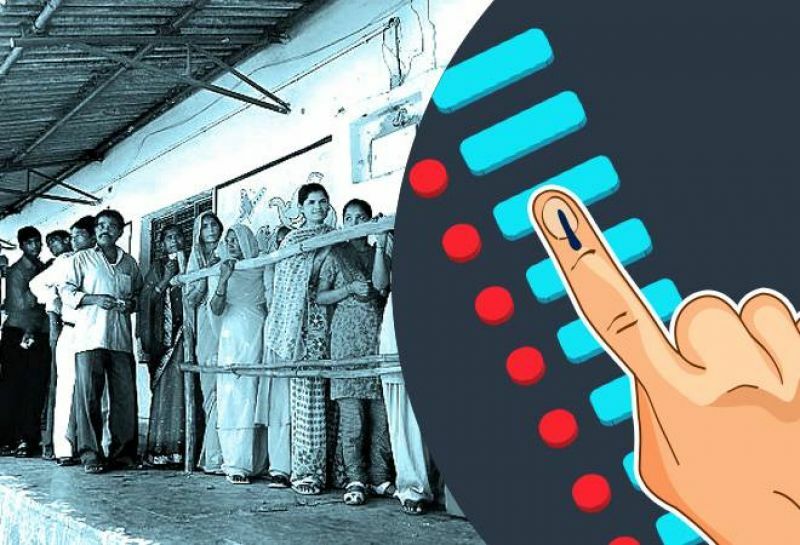 The most daunting news of the first day when India went to polls was that the foremost visible evidence of having voted, the election ink on each eligible voter who has exercised the right to vote, is removable easily. The ink, which is supposed to be permanent and goes off only when the dead skin cells come off and new ones grow. EVMs were already under a cloud of suspicion, and now this. The doubt on democracy grows. The nervousness being seen in a particular section of politicians is peculiar. A Shiv Sens leader has written in the party mouthpiece Saamna that BJP should do anything possible, to defeat Kanhayiya Kumar, even if it has to rig the EVMs. Such open declaration is really shocking. Kanhayiya Kumar, a JNU student, who stood like a rock for his opposition of mentality of discrimination against the lower castes, and demanding freedom from it, could not be bent down by the government. A boy whose spirit could not be broken by the full force of the whole government machinery, is now a target of such malicious thoughts! Kanhaiyia Kumar is taking a leap in politics by contesting against BJP’s Giriraj Singh. Kanhayiya is neither a product of any dynasty, nor is he a price. 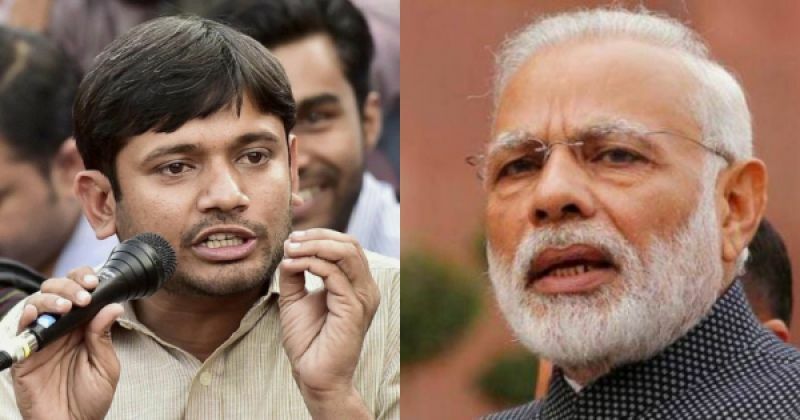 A party like BJP, who calls itself a crusader against dynastic politics, who gave the opportunity of rising to the stature of a Prime Minister, to a tea vendor, should have felt proud of a self-made person like Kanhayiya. It is evident, that the concept of so-called equality has vanished from the ruling party’s mind, and has been replaced by nervousness. In the last few days, three poster leaders of BJP have given statements which flout the Election Commission directions blatantly, but also show the fear which has embedded deep down in their minds, about losing the mandate. BJP is not talking about the problems of unemployment and development, the issues it cried hoarse about in 2014. The campaign in 2014 had no mention of hatred, but only had development as the theme. The election campaign today resembles the hate mongering which happened in 2015 Assembly election in Bihar in 2015. The competition was between BJP and Mahagathjod, with BJP losing. Like 2015, this time too BJP is spewing venom. 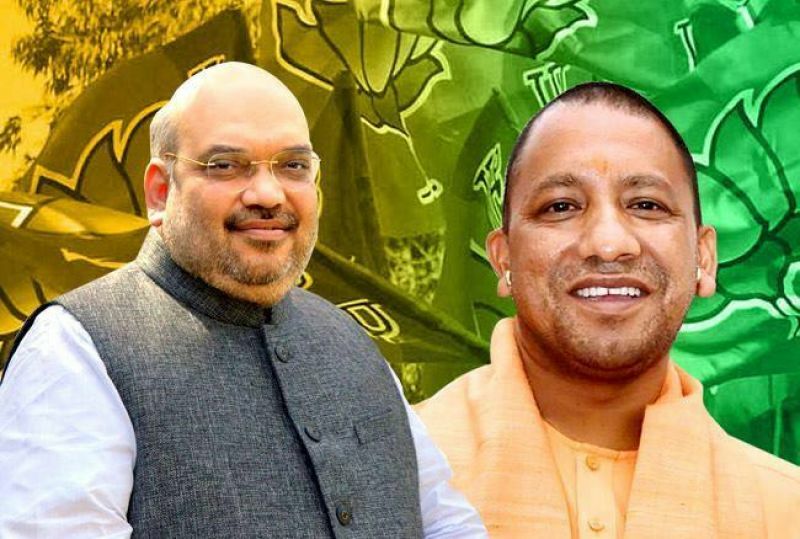 Amit Shah calls for revenge, Yogi Adityanath asks voters to chose between ‘Ali’ and ‘Bajrangbali’, playing the communal card, but the most devastating attack on the democratic structure of our country has been made by the very person who claims to guard the sanctity of the country, the Prime Minister Narendra Modi. He has now repeatedly asked the voters to vote in his favour for the sake of Pulwama Martyrs and the Balakot Air Strike. These people break every rule of democracy, violate every decorum and rule. Police employees get food packets with NaMo written on them, it being done with the money of the public of India, and termed as free food from the PM. NaMo TV runs despite Election Commission’s objections, and so does the web series on Eros Now, named MODI. Does all this show BJP’s bewildered state, that ity is bent upon winning, even if it means breaking all laws of the land? Will the next Prime Minister of India lead the nation by bending the rules in an undemocratic manner? The EC needs to act immediately today. Would a government which comes to power after hate speeches, broken rules, election ink scandal, would be a democratic government at all? Would the people of India be able to understand this and would they be able to give a befitting reply is the burning question today.